We invite you to partner with APDA to provide much needed support that can help improve the quality of life for the 1 million individuals living with Parkinson’s disease in the US. Donating online is the quickest and easiest way to show your support! 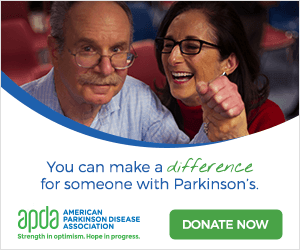 By making a monthly gift to the American Parkinson Disease Association (APDA), you can improve quality of life for families, caregivers, and all those impacted by the disease. That’s because your gifts fund education, referrals, support and public awareness programs that change lives. At the same time, your gift allows us to invest in research that is searching for a cure. It’s easy. The monthly amount you select is charged to your credit card automatically. 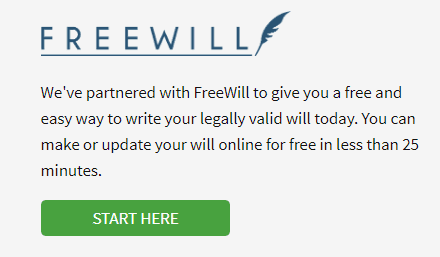 You’re of course free to cancel at any time. It’s cost-effective. Your money goes further, because monthly giving reduces the need for regular appeals, saving money spent on printing, paper and stamps. It’s money we can count on. Knowing we can count on your monthly support helps us budget more effectively as an organization. It makes a difference. Your monthly donation will help us reach out to people in your state living with Parkinson’s disease. It’s a powerful way to show your support for everyone in the Parkinson’s community. Please consider becoming a monthly donor today. A memorial gift or gift in honor is a thoughtful way to remember a loved one or dear friend while at the same time giving hope to others. When making an online donation, kindly give us the name of the memorial or person of honor as well as the name of a family member or close friend you wish to notify and after you have made your contribution—an acknowledgement letter will be sent to the family member or friend you designate and a tax receipt will be sent to you. Please know that we will not specify the amount of the donation in the acknowledgement to the family. Memorial and honorary contributions to the American Parkinson Disease Association (APDA) are tax-deductible to the fullest extent allowed by law. Many companies have employee matching gifts programs, through which they will match your donations to nonprofit organizations. Follow the link below to find out if they have a Matching Gift Program and double your donation today! APDA welcomes the opportunity to explore National and Regional corporate partner relationships that meet the philanthropic objectives of your organization. Gifts can be made by mail, phone, and e-mail. Download and print the PDF Donation Form here. Mail or email your completed form or you may call us toll-free at 800-223-2732. APDA partners with online retailers to allow a portion of retail sales to support our cause. You can support APDA by shopping on Ebay, Amazon, as well as other retailers, which you can find on ShopAPDA.org.